Australia is one of the most popular fishing destinations in the world. From the cool waters in the south to the tropical waters in the north, our beautiful country has thousands of kilometres of coastline perfect for a relaxing day of fishing. We’ve narrowed our favourites down to five locations – all perfect for escaping for a day and casting a line. Hervey Bay is a popular fishing destination, famous for its crystal clear waters and beautiful golden trevally. Tuna, giant trevally, cobia, sailfish and marlin are also plentiful in the area, as well as whiting, tailor, flathead and snapper for those of you looking to catch your next meal. You have the option to jump on a charter from the bay itself, where you can choose from sports fishing trips or guided saltwater fly-fishing. Multi-day ‘liveaboard’ excursions are also available. 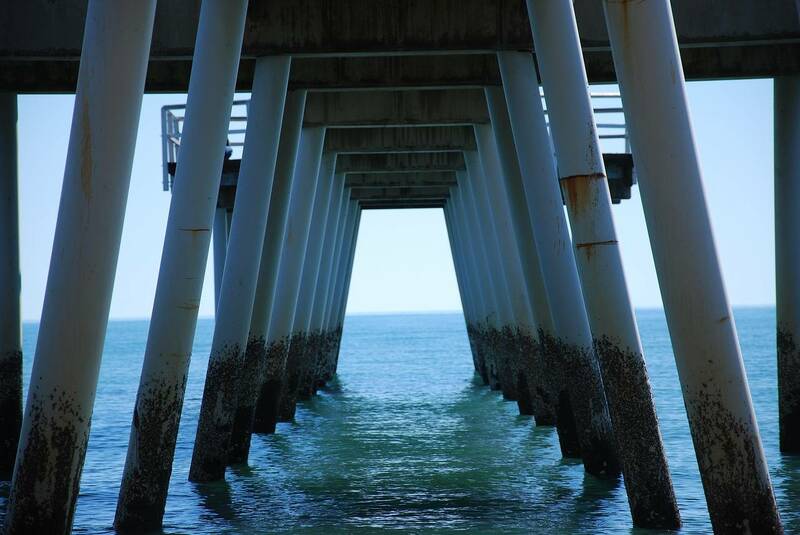 The pier at Hervey Bay is a great place to fish. 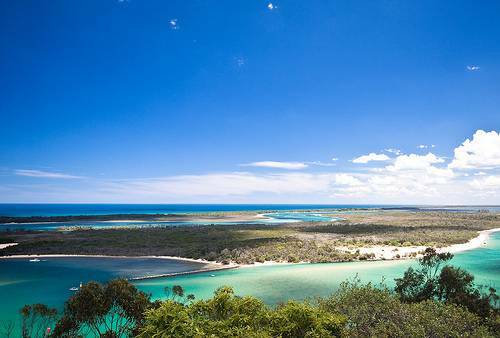 Known for its game fishing, the resort area of Port Stephens is a fishing hotspot. Anglers from all over the world attend the region’s NSW Interclub Tournament, which is the largest game fishing tournament in the southern hemisphere. Don’t fret if you’re not into the serious stuff, as amateurs are also welcome in the area. You can fish for flathead, sand whiting, snapper and kingfish in the extensive Myall Lakes system or the Karuah River. You can also wade or kayak through the flats along Nelson Bay. There are several designated sanctuary zones in the Great Lakes Marine Park, so make sure you check where you’re actually allowed to fish. 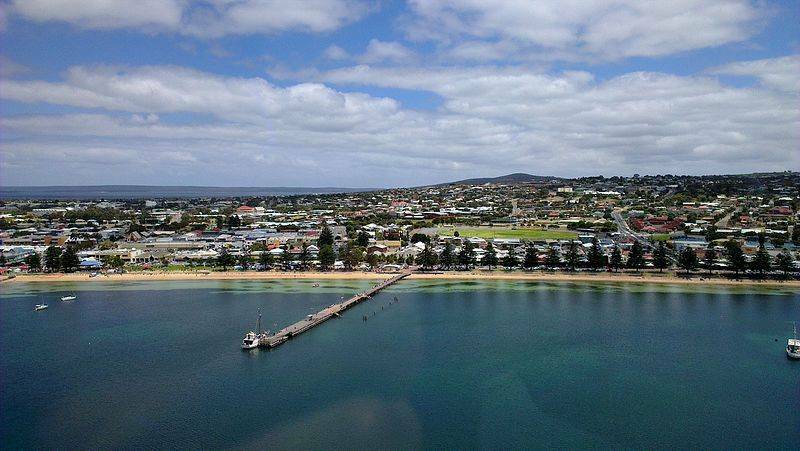 Port Lincoln claims to be the seafood capital of Australia, so it makes sense that it’s widely regarded as one of the best fishing destinations in the country. The area is known for the southern bluefin tuna, but you can catch a wide variety of species including snapper, salmon, snook, whiting, garfish and squid. There are several boat ramps and marinas around the area, so you won’t have any trouble finding somewhere quiet to fish. The ocean can be a little rough around here sometimes, so check local conditions before you head out. Port Lincoln is the seafood capital of Australia. Gippsland is a few hours’ drive north of Melbourne, and it’s hard to beat if you’re looking to cast a line in a diverse habitat. The region offers perfect coastal lakes and rivers as well as long stretches of completely empty beach. Set yourself up near a mountain stream if you’re after brown or rainbow trout, or fish one of the many rivers and lakes for redfin, eel, carp and Australian bass. Amazingly, the region’s mild climate makes for great fishing conditions most of the year. Gippsland is one of the premier fishing destinations in Australia. Located near the tip of Western Australia’s North West Cape, Exmouth is one of the world’s most diverse fishing destinations. You can catch a huge range of species here, including milkfish, bonefish, tuna, queenfish, cobia, trevally, mahi mahi and wahoo. If you want to head further out, the continental shelf lies about three kilometres away from the edge of the reef, offering excellent deep sea fishing. There you have it – five of the best fishing destination in Australia. Can you think of others deserving a mention? Let us know which ones we’ve missed in the comments below! Wherever you end up casting your line, make sure you fish sustainably. Respect local size limits and take only what you actually need. It’s also important to remember that some states require you to carry a fishing license with you at all times, so check the laws before heading out.